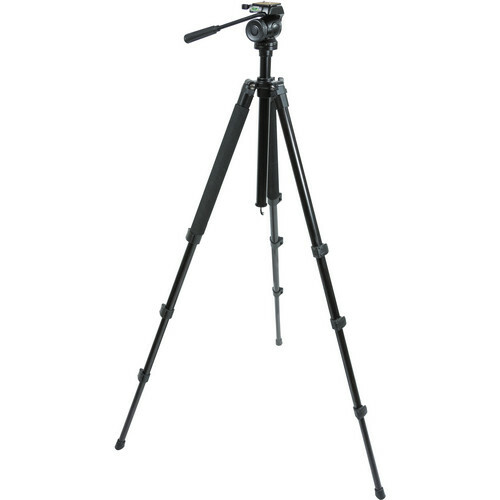 The TrailSeeker Tripod with Fluid Pan Head from Celestron is a 4-section aluminum tripod with a two-way fluid pan/tilt head. 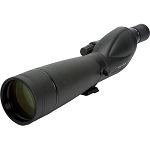 It extends from a minimum working height of 18.9" to a maximum of 70.5". 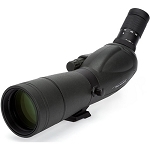 Weighing 3.9 lb, the tripod can hold up to 9 lb, whether that be a spotting scope, binocular, camera, small telescope, or other equipment. The legs can be independently set to three different angles for shooting on an uneven surface. 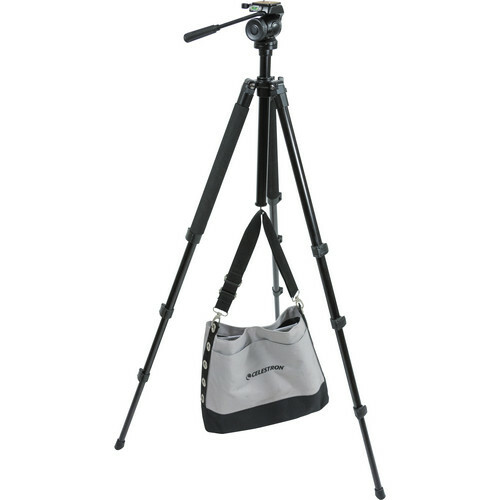 Flip locks allow you to adjust the height of each leg, and a foam grip on two of the legs adds comfort when carrying the tripod, especially in extreme temperatures. The Center column has a ballast hook for adding a counterweight, which will lower the center of gravity, adding stability to the tripod. 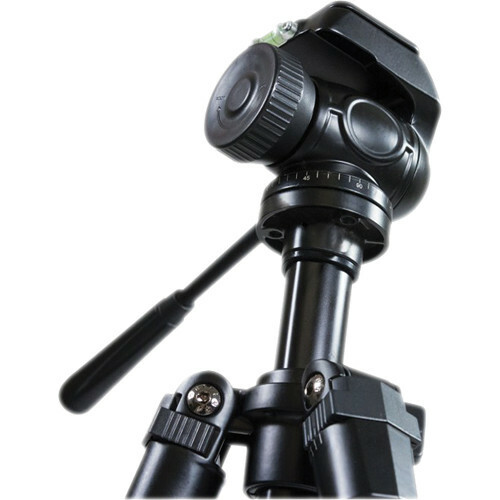 The tripod features a 2-way pan/tilt fluid head with one large knob that both controls the tension and locks the head in place. A quick-release plate with a 1/4"-20 threaded stud makes attaching and detaching your equipment quick and easy. Bubble levels help ensure that your camera will be level to the horizon. Included with the TrailSeeker is a case and shoulder strap to protect your tripod and make transport easier.